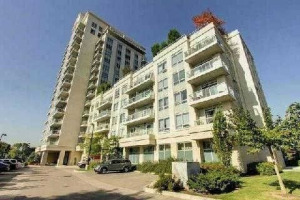 Wonderful 2 Bedroom, 2 Bath Corner Unit With A Large Wrap Around Balcony, 9Ft Ceilings, Open Concept With Granite Centre Island, Upgraded Cabinets. 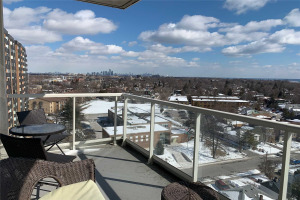 This Unit Is Located On The Same Floor As The Rooftop Deck With A Hot Tub And Eating Area. 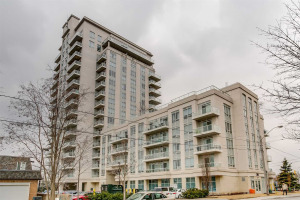 Right Across From Long Branch Go Station. Perfect For The Commuter. Walk To Lake. Lots Of Natural Light. Minutes To Sherway Gardens. Very Nice Floor Plan. Ss Fridge, Ss Stove, B/I Dishwasher, B/I Microwave, Washer And Dryer, Window Coverings, 1 Parking Spot, 1 Locker And 1 Bike Locker.